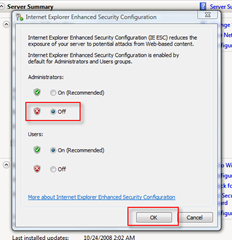 Whether you just built a Windows Server 2008 Test system or your using Windows Server 2008 as a desktop (like me), Turning off or Disabling the IE Enhanced Security Configuration (also known as IE ESC) is one of the first things I always do. The steps are simple. If any questions arise, please feel free to start a new Topic in the Free Groovy Support Forum or leave a comment here. 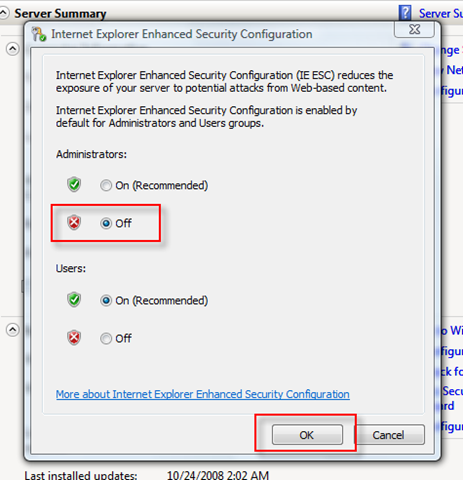 Note: In most cases/uses, there is no need to turn off IE ESC for Users, however, if you plan to use the server for Terminal Services or a shared desktop OS, etc… Select the Off Radio Button under Users as well. All done! Very straightforward and groovy eh? Although the process is a bit different from previous Microsoft OSs, once you know where it’s hiding, it’s simple. 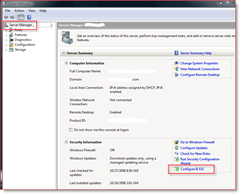 Great Post, IE Enhanced Security Configuration is a pain in the neck if you are usign Server 2008 as a desktop OS. 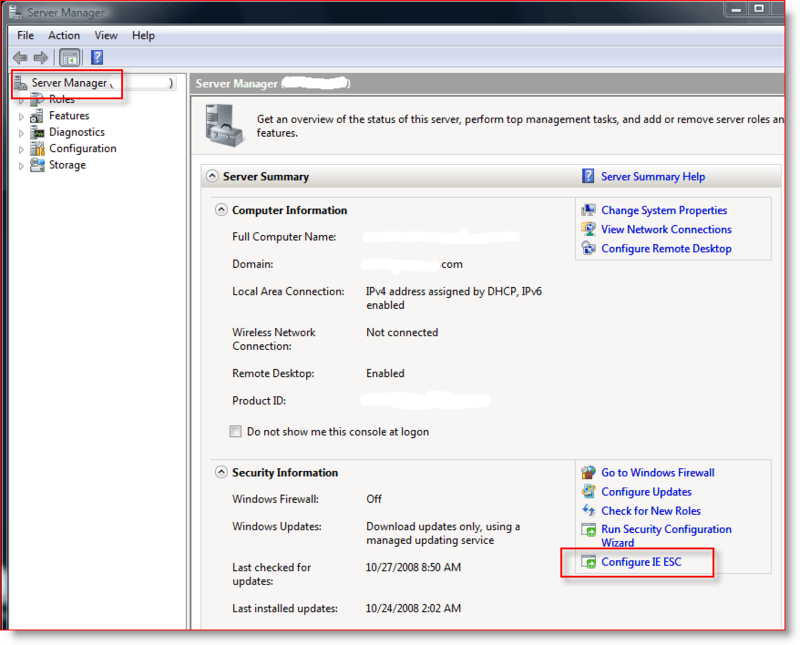 All good but, a warning to System Admins. You really shouldn’t be using IE from a production server anyway. We actually block Port 80 outbound for most of our production server farms. Nice for new server builds and such. @Tony – Thanks for the FYI – Link on the command line. I also agree with you about using PRODUCTION servers to browse websites. Not a good idea. Test servers however is a different story.